“Mario Valentino. 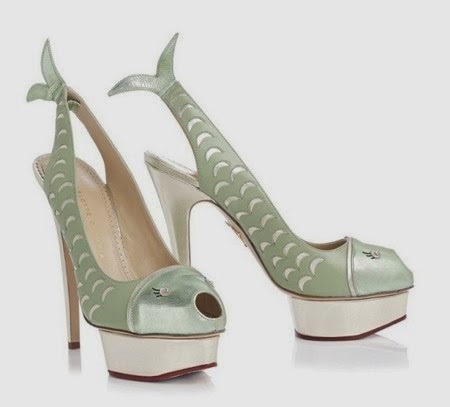 L’inventore dello stiletto ha presentato il sandalo pesce, altissimo, con tanto di occhi”. Mario Valentino. 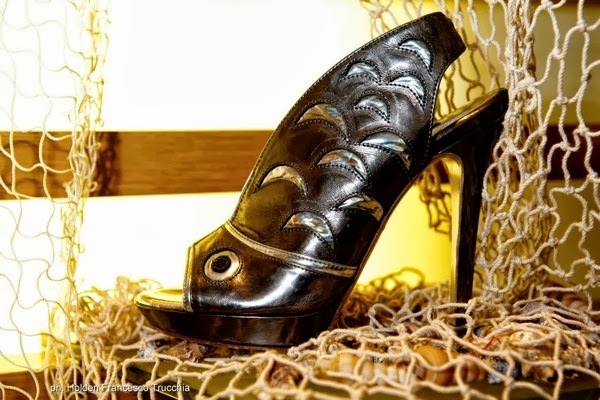 Stiletto's inventor, showcased the fish-sandal, very high heel and eyes to boot. Mario Valentino (l'uomo, non il marchio) aveva molti meriti, ma certamente non ha inventato lo stiletto, le cui origini vanno ricercate altrove. Come pure nulla ha inventato chi ha disegnato questa scarpa-pesce-2013 che palesemente si ispira al modello con cui André Perugia ha omaggiato il pittore George Braque: uno dei modelli più famosi della storia della calzatura. Mario Valentino (the man, not the brand) had plenty of merits, but certainly did not invent the stiletto, whose origins are to be sought elsewhere. 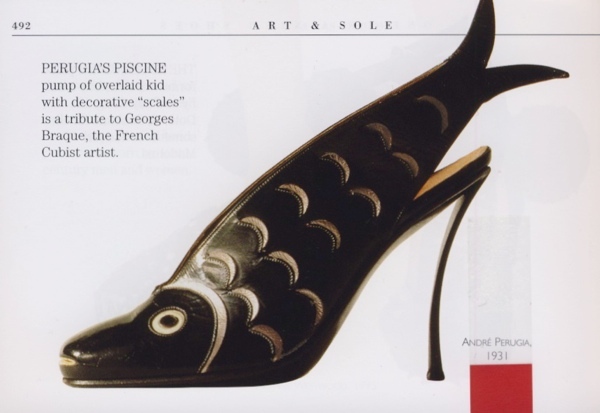 And the same goes to whoever designed this updated fish-shoe which is clearly inspired by the celebrated André Perugia model (homage to the painter George Braque): among the most famous designs in the footwear history. 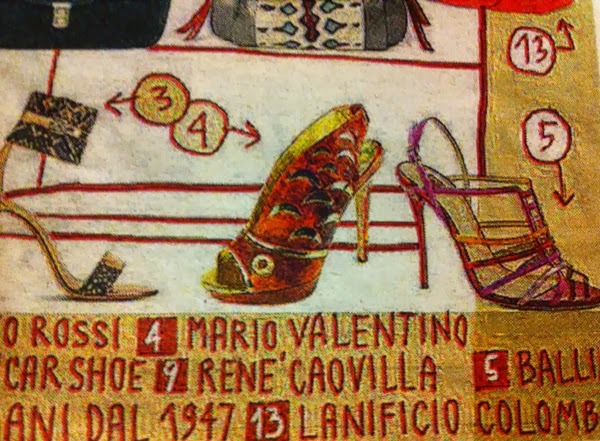 Mario Valentino, scomparso nel 1991, era un ammiratore di Perugia (diceva che disegnava gioielli più che scarpe) e molto probabilmente avrebbe apprezzato il tributo che la sua azienda ha offerto al bottier italo-francese, solo lo avrebbe fatto con più eleganza, citandolo espressamente. The late Mario Valentino (he died in 1991) was a Perugia enthusiast ("He designed jewels not shoes" he said) and most likely he would have appreciated the tribute that his company has offered to the Italian-French bottier, only he would have done it with more flair and elegance. Everyone who know shoes knows this is not an original design yet it gave people an opportunity to wear a ode to such an iconic design. The proof I'm afraid is not on the internet.. the shoe was made a fair few years ago. It was not intended to rip off but celebrate. Copying in fashion is rife but the intention of Georgina Goodman is not to produce copies but either celebrate the best and push design further but of course inspiration comes from a vast history of design.